It wouldn’t be the first time that UK Newspapers have distorted and published information that turned out unfavourable and detrimental to the Island. Publication of articles like this with this kind of information, is reminiscent of 1997-8 when the UK Government authorities broadcasted and said that there might be a cataclysmic eruption that would cause Montserrat to completely evacuated. 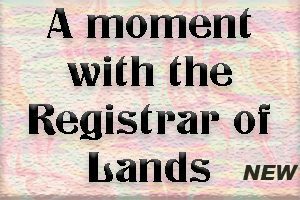 The result of that in spite of vehement denial of that situation from the Government and scientists on Montserrat, it was not until 2008 the UK relented on the misinformation. With all the observations and opinions inserted, some of the information is far from up to date, even though they claimed they were reporting on very recent information. As the Director Stewart observes the Express was even more damning in its reporting on this matter. Here MVO director sets the record straight. 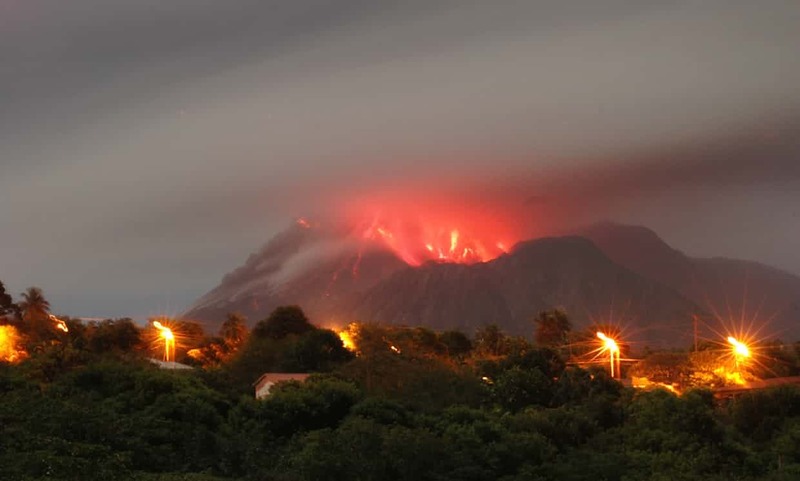 Following the publication on 7 March 2018 of two articles in UK newspapers (The Guardian and The Express), members of the public have expressed concerns about the current status of the Soufrière Hills Volcano, Montserrat (SHV), particularly with reference to ground deformation. 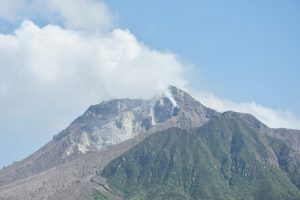 Monitoring data recorded and interpreted by Montserrat Volcano Observatory (MVO) shows no changes that suggest that new activity is imminent. The newspaper articles are misleading and, in the case of The Express, alarmist. Since the end of the last phase of lava extrusion on 11 February 2010, MVO has observed a slow, steady movement of the ground surface across the whole of Montserrat using data recorded by our network of very precise Global Positioning System (GPS) receivers. The news articles in question report on research being carried out by MVO in collaboration with Professor Jurgen Neuberg (University of Leeds, UK) that seeks to understand this trend. The research suggests that, since February 2010, the underground magma system that feeds the SHV has been slowly recharged by the influx of magma at depth. This causes the pressure inside the system to increase, which is then seen as upwards and outwards movement of the ground surface around the volcano. The news articles suggest that the research has produced new information. In the Express article this, when combined with a very small swarm of small-magnitude earthquakes on 25 February 2018, indicates that a new eruption may be imminent. This is not the case. Brief swarms of such earthquakes have occurred on more than one hundred occasions since 2007. All the data recorded by MVO since the last surface activity in February 2010 follows a consistent long-term trend which was also characteristic of four previous pauses in activity. The overall earthquake activity has been relatively low; the observed deformation pattern shows slow inflation; and the sulphur dioxide gas output is between 200 and 400 tons per day. The restrictions on access to some areas of Montserrat have been in place for many years and all visits to these areas, including for economic activity, are closely controlled and very carefully managed.